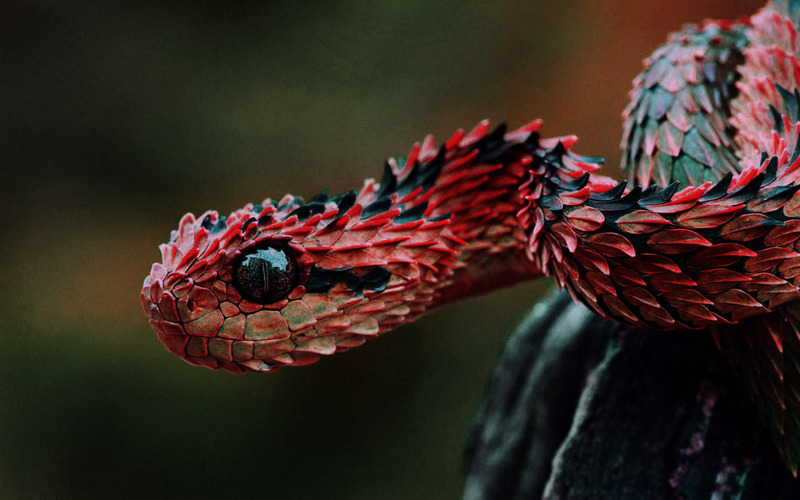 You may have seen this image photoshopped into red and called an Indonesian Autumn Adder. This is the original photo and it is an African Viper. Although the name sounds like a joke, that is actually the correct name.